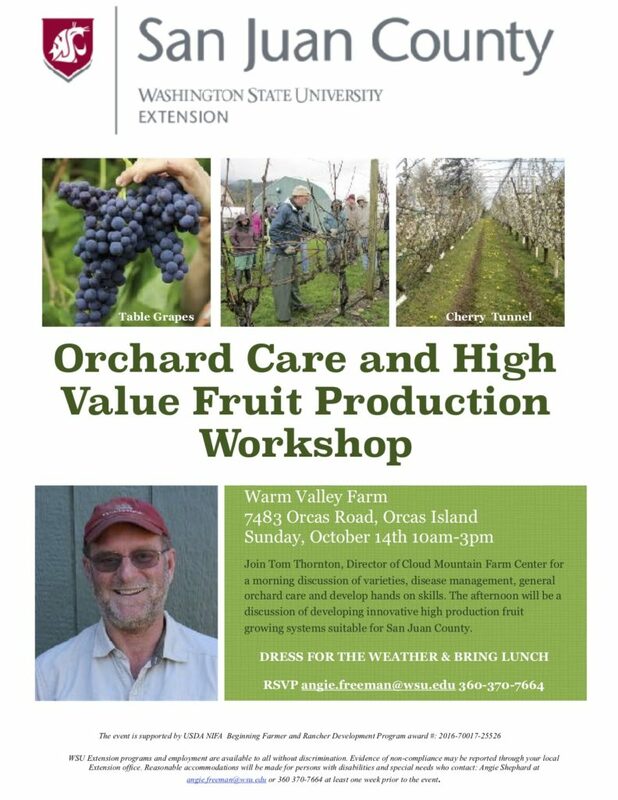 Join Tom Thornton, Director of Cloud Mountain Farm Center for a morning discussion of varieties, disease management, general orchard care and develop hands-on skills. The afternoon will be a discussion of developing innovative high production fruit growing systems suitable for San Juan County. Dress for the weather and bring your own lunch. angie.freeman@wsu.edu or 360 370-7664 at least one week prior to the event.